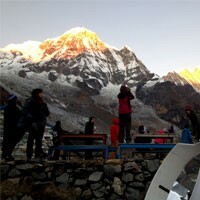 Kanchenjunga south base camp trek itinerary is visiting only one base camp of the mount. Kanchenjunga. 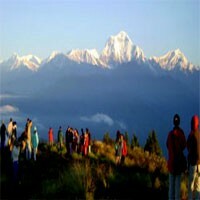 It is an adventure and long trekking itinerary to eastern Nepal. This 22 days Kanchenjunga south base camp trekking itinerary covers a full day Kathmandu city tour and going to the basecamp and coming back the same way. 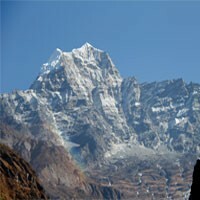 Not many trekkers are familiar with this itinerary who come in Nepal for trekking to the mountain base camps. We make a few different itineraries or customized Kanchenjunga south base camp trek itinerary as your time limits. If you have a longer holiday, you can make a trek combined Kanchenjunga south-north base camp trek itinerary. Day 14 : Trek Back from Tseram to Lasiya bhanjyang (3415m. )6 hrs. Day 15 : Trek from Lasiya bhanjyang to Yamphudin (1692m. )5 hrs. Day 16 : Trek from Yamphudin to Phumphe danda (1795m. )6-7 hrs. Day 17 : Trek from Phumphedanda to Kande bhanjyang (2190m. )6 hrs. Day 18 : Trek from Kande bhanjyang to Lalikharka(2266m. )5 hrs. Day 20 : Drive to Birtamod(10 hrs.) overnight at guesthouse. Day 21 : Fly from chandra gadhi to kathmandu. Fare well dinner with Frolic Adventure. Day 22 : Departure to the international airport for your final flight.